Jangjorim (장조림) is one of the few banchans (반찬) or Korean side dishes made of meat. It is a popular banchan especially amongst children and my favorite when I was growing up in Seoul. When my mother packed my lunch when I went to Korean school and she often included jangjorim in my lunch box with a few other banchans and rice. Today, I made this dish with quail eggs, which is used often in Korean dishes. 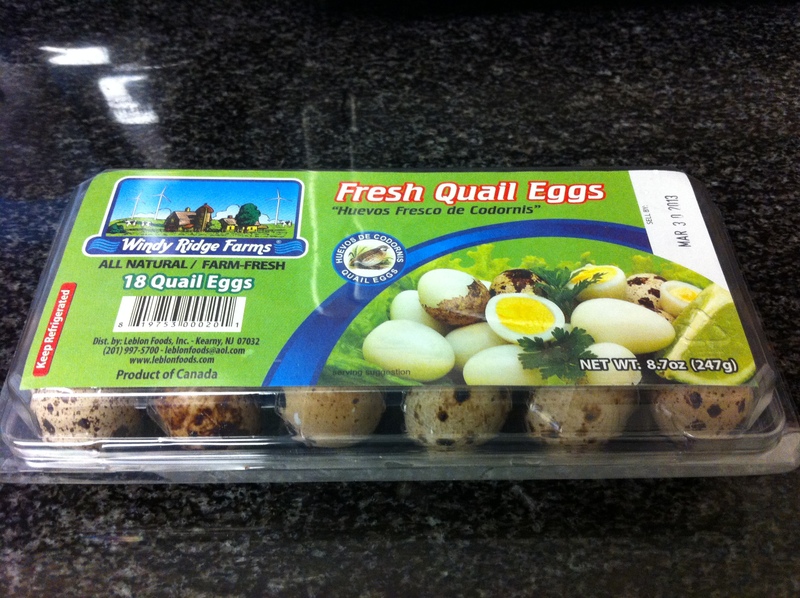 You can substitute quail eggs to regular eggs. 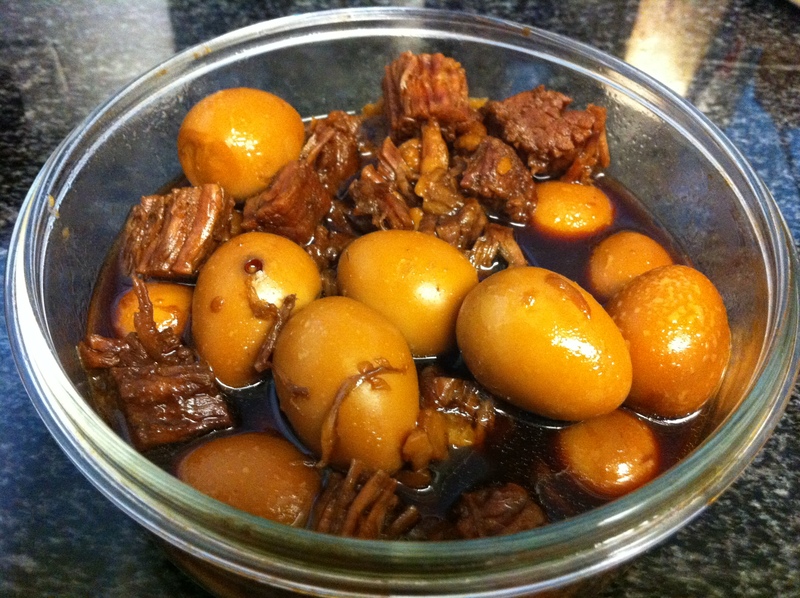 You can also use only beef or just eggs but use the same marinade and cooking method. 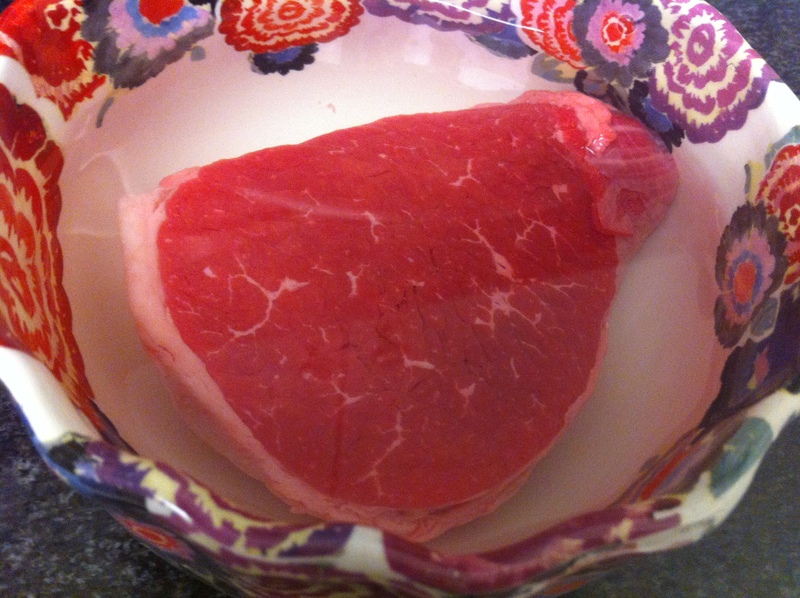 Soak the meat in cold water for about 15 to 20 minutes to draw out the blood. This helps the broth to come out clear. Trim off any fat on the meat. 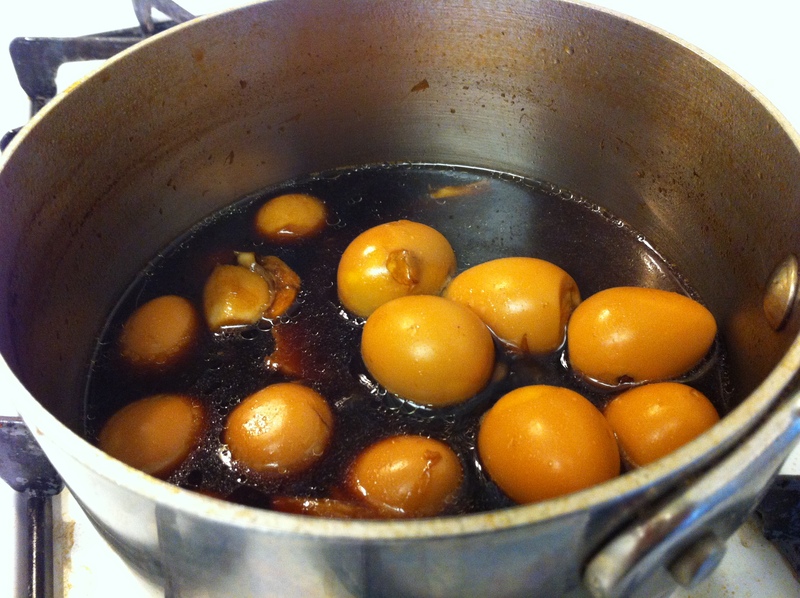 In the meantime, add a tablespoon of vinegar to cold water and boil the quail eggs for about 10 minutes. The vinegar helps removing eggshells. 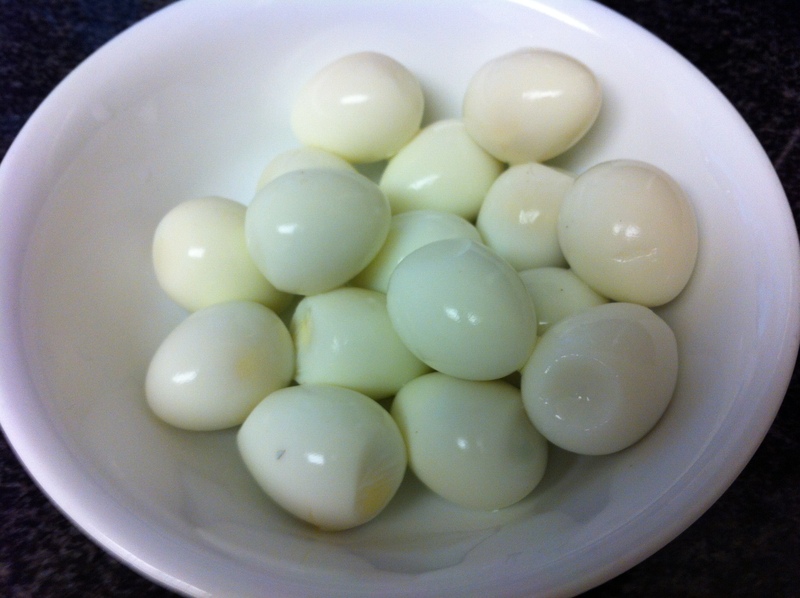 You can also hard boil regular eggs. Remove the eggshells. 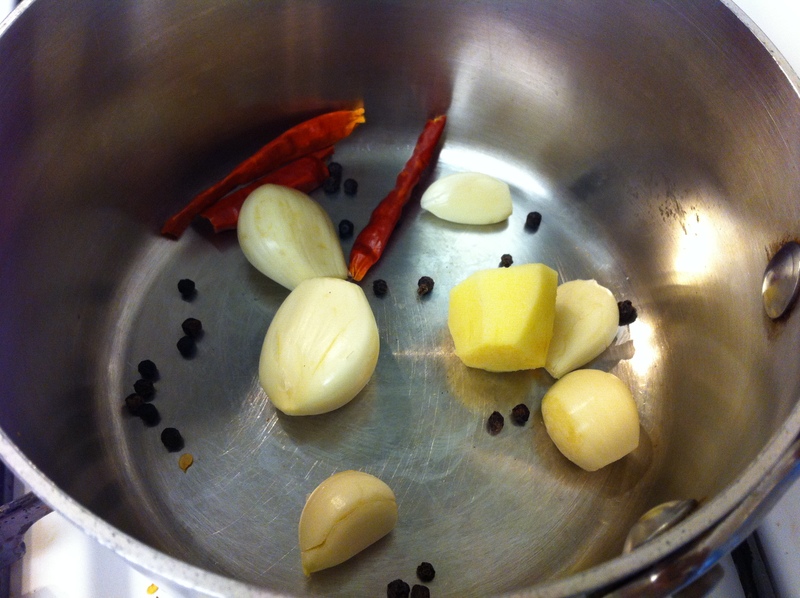 In a heavy pot, add the meat, garlic, ginger, scallions, black peppercorns, dried red peppers and about 4 cups of water. 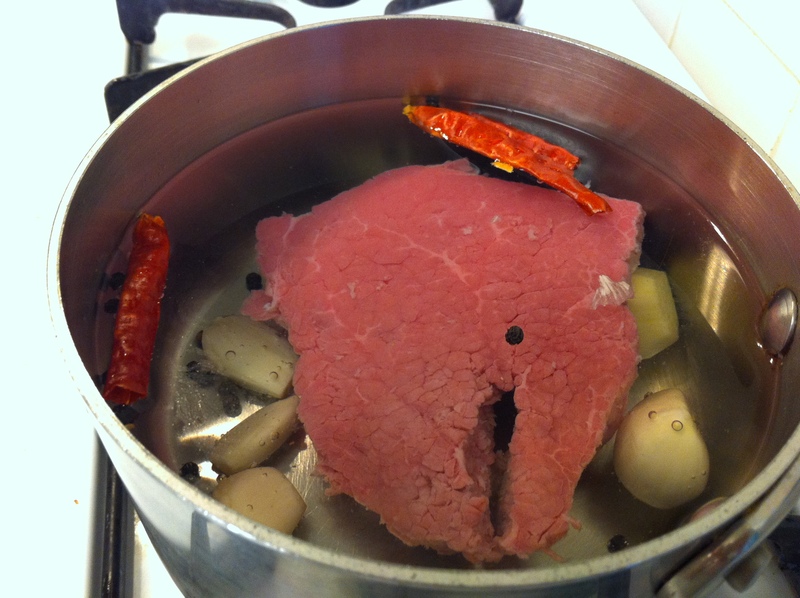 Bring it to a boil and lower to medium heat. Keep the lid open. 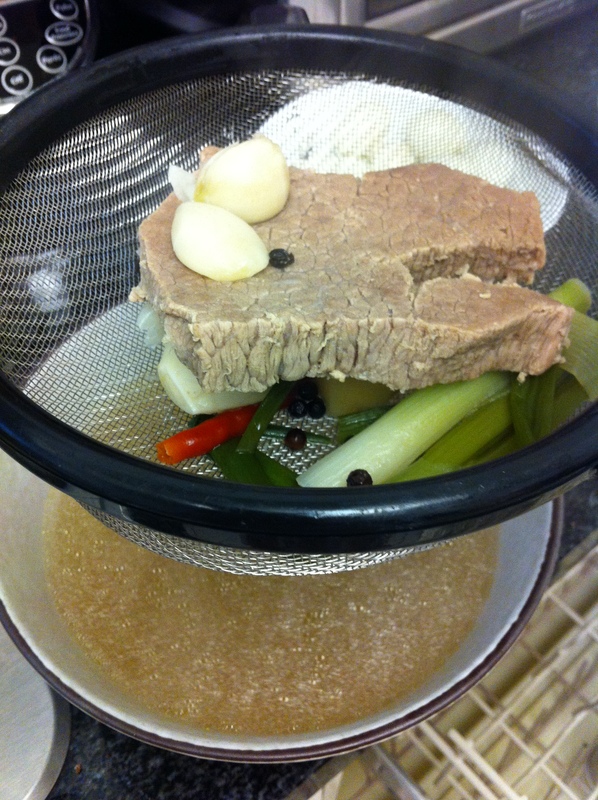 When the meat is thoroughly cooked, pour out the broth in another bowl using a sieve. Pour the broth back into the pot and add the cooked meat, garlic cloves, eggs and the marinade. 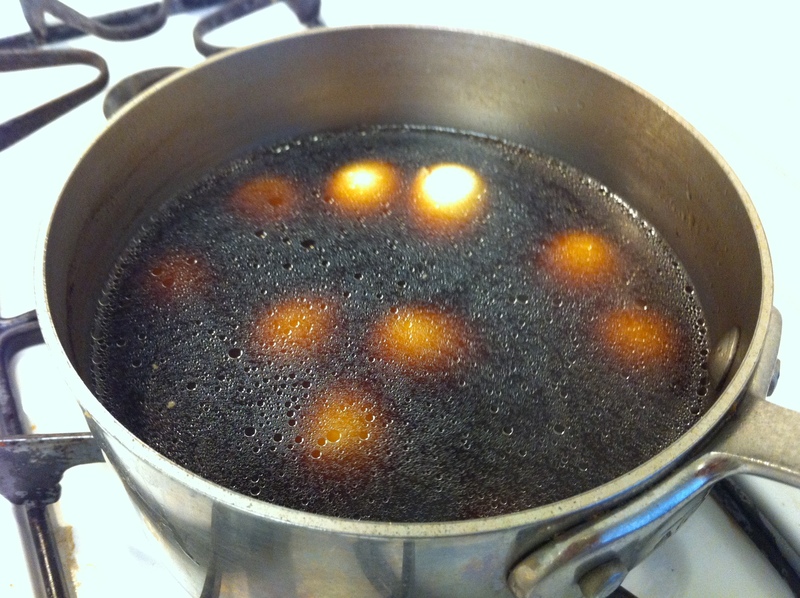 Bring it to a boil with the lid off and simmer until the sauce is reduced to about 1/2 cup. Shred the meat into bite size pieces with your hand or by using two forks. Cool it and store in the refrigerator. Serve it cold or room temperature. Tip: If might find fat particles surface when it is cooled, you can drain just the sauce through a sieve, cheesecloth or even a coffee filter to remove the fat particles. 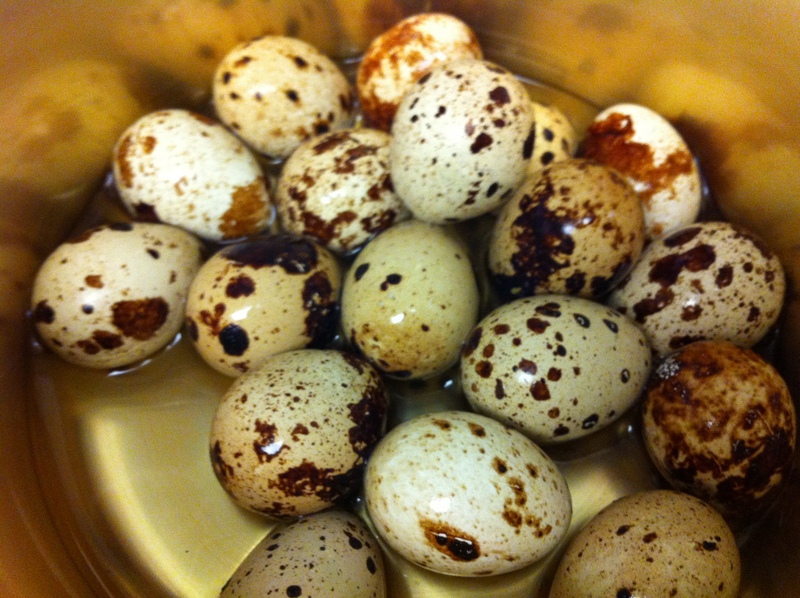 *This is a picture of maechurial-jorim (메추리알조림, marinated quail eggs). 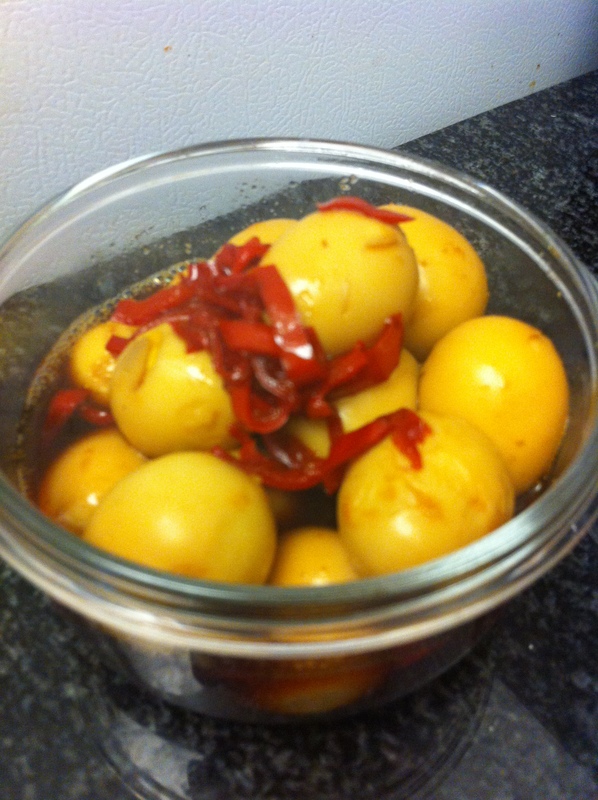 I used the same method but only used quail eggs and fresh red peppers instead of dried red peppers. This entry was posted in Banchan (반찬, Side Dish), Meat/Chicken and tagged Beef by gangnamkitchen. Bookmark the permalink. This recipe was so easy to follow! Thanks, unni!